 Come give golf a go for free at Whakatane Golf Club with other new to golf women. Then join us a for a complimentary drink in the clubhouse! Whakatane Golf Club, situated 10 minutes from the sunshine capital of New Zealand, is proud to be the host of the Bay Of Plenty Open. Although quite close to the sea, we have been described as a 'parkland' course rather than a 'links' course. Generally the fairways are flat or undulating and most of the greens are reasonably accommodating for approach shots, but there are a few where accuracy is essential. Tee shots on 7 holes can find their way out of bounds. Bunkers are numerous, but there are no water hazards. In summary, the general perception of members and visitors alike is that our Whakatane course is not difficult, but it's not easy either! Whakatane Golf Club is fortunate to possess one of the finest golf courses in the Bay of Plenty, New Zealand. With our fast running greens and lush forgiving fairways, the course offers golfers, at all levels, a challenging and rewarding 18 holes. Our par 70, 6009m course is located 10 minutes from the town centre, adjacent to the airport. Our par 70, 6009m 18 Hole course has fast running greens and lush forgiving fairways and is located 10 minutes from Whakatane. We are fortunate to have a large putting green, a practice fairway and nets areas, as well as a fully stocked Golf Shop. Bar and catering facilities reflects the needs of our members.